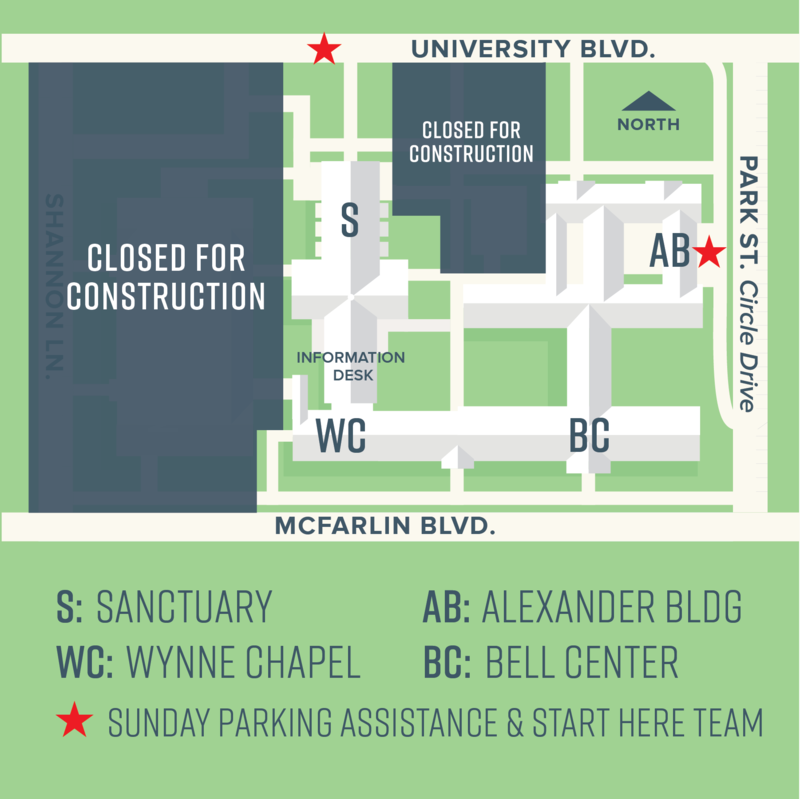 Campus Map | Highland Park Pres. When you visit Highland Park Pres, our friendly greeters in green t-shirts are here to help guide you to where you need to be. Look for them in the Welcome Area or at either of the parking assistance* locations, marked with red stars on the map above. *Parking assistance is available for first-time guests, solo parents, and the mobility impaired. Highland Park Pres is undergoing construction as part of the Transform campaign. This page will be updated as event locations shift over the next few years.